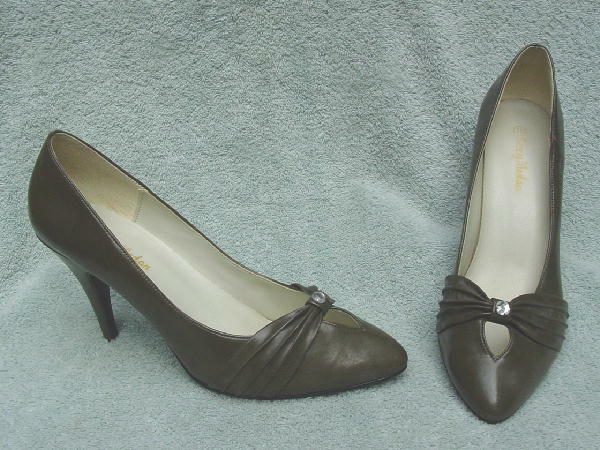 These olive green pumps are made of all manmade materials. They have a gathered effect on the vamp with a faux rhinestone and open leaf shape cutout. They have new rubber heels. The heels have a couple of dings and the left has a scuff mark as the foot meets the heel. Both shoes have scuff marks.